Please Buy My Books On Amazon Or Barnes & Noble. 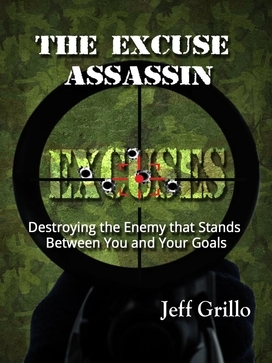 “The Excuse Assassin” by Jeff Grillo is currently available on Amazon! To read the reviews, sample the book and get your copy… CLICK HERE! This encouraging 116 page paperback tells the story you need to hear if you are facing adversity. This book has reached people all over the nation and around the world. Not only has this happened through the reading of this book, but through several international television and radio programs. Get ready to be inspired and encouraged. 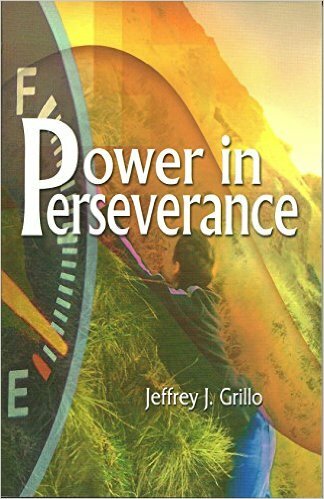 Order your copy of “Power In Perseverance” today! Get Your Copy from Amazon TODAY! Barnes & Noble users Click Here! Get my "No Excuses" Newsletter FREE! "Jeff is dynamic speaker with a compelling message, and his great sense of humor and superb storytelling enables him to make a genuine connection with his audiences. I highly recommend you invite Jeff Grillo to speak at your next event." "Get ready for a mixture of laughter and tears that will touch your heart and inspire you to get moving in the direction of your full potential. I highly Recommend Jeff."